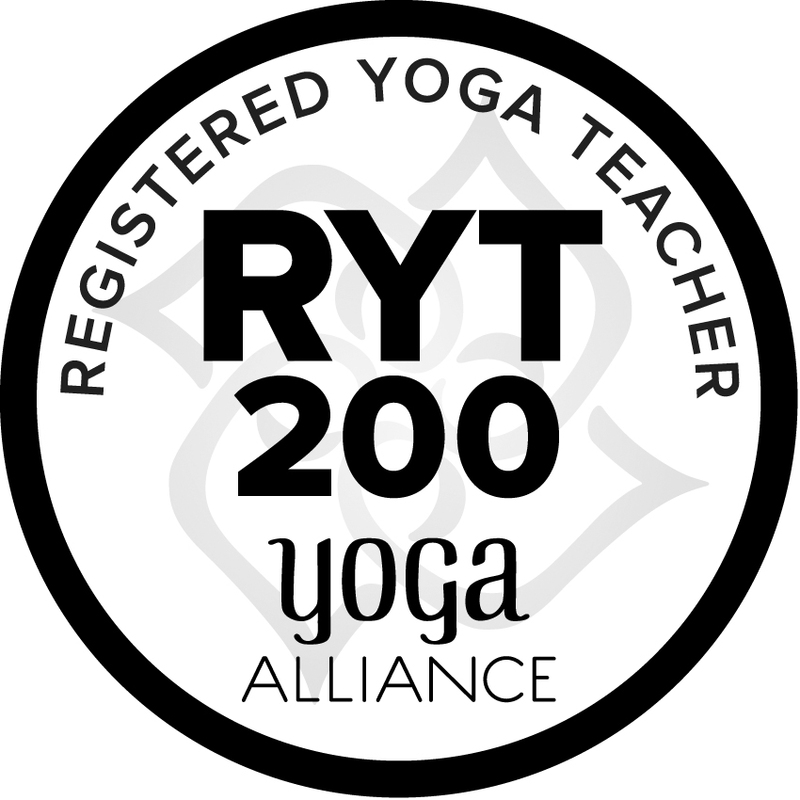 Earn A Yoga Alliance 200 RYT Certification With Our Flexible Modular Teacher Training Program. 150+ Graduated Yoga Teachers. To date, more than 150 new yoga teachers have successfully graduated from our program and are now spreading their passion as yoga teachers. Inner Fire Yoga’s 200 RYT Teacher Training Program is a flexible modular program. To earn a Yoga Alliance 200 RYT certification, participants combine the Foundations Module with the Power Flow Module or the Hot Yoga Module. Modules can be combined in any order within 2 years. The Summer Intensive is a full-time training comprised of the Foundations and the Power Flow Modules. Hit the apply button below and apply online! We will contact you to confirm your application and go over any questions/concerns you may have. Finally, we will contact you to complete your admission. Immerse yourself in a comprehensive yoga curriculum including yoga philosophy, the history of yoga, asana (poses), pranayama (breathing), assists, modifications, meditation, ayurveda, chakras, sequencing, and more. Accelerate your personal yoga practice in a passionate higher-learning environment. Follow an inspired path towards a deeper understanding of yoga theory and personal growth. Our team of specialized instructors will empower you to gain the confidence and leadership skills to effectively share your passion by becoming a skilled and effective yoga teacher. Completion of the Foundations Module will earn a 110-hour certificate from Inner Fire Yoga and can be applied towards a 200-hour Registered Yoga Teacher certification with the Yoga Alliance. Gain the strength and knowledge to guide and empower others to new heights of fitness in body and mind. Deepen your practice and develop your voice as a teacher to become your authentic self. Learn the theory of sequencing; sun salutations; alignment principles, modifications, meditation, hands­on assists and adjustments and more! Join us for four weekend-long intensives in a passionate learning environment just eight miles west of Madison, WI. Completion of the Power Yoga Module will earn a 110-hour certificate from Inner Fire Yoga and can be applied towards a 200-hour Registered Yoga Teacher certification with the Yoga Alliance. Learn to teach the traditional Hot Yoga practice from an experienced team of top-trained hot yoga instructors. Deepen your practice through a greater understanding of anatomy and asana technique. Practice teaching and develop your voice as a leader and healer. Learn dialogue, alignment principles, breathwork, modifications, hands­on assists and more in a passionate learning enviornment. Join us for four weekends of endurance and intensity as we dive into the practice of Hot Yoga. Strengthen your personal practice with a deeper understanding of yoga by learning from a passionate team of specialized experts, including teachers trained in anatomy and ayurveda. Gain the skills and confidence to find your voice as a qualified Power Yoga instructor. Come, join other dedicated yogis, transform yourself and your yoga practice at our beautiful and accommodating location that provides a serene, retreat-like, distraction-free environment in Madison, just 10 miles west of our flagship studio. Completion of the Summer Intensive will earn a 200-hour certificate from Inner Fire Yoga and students will qualify for a 200-hour Registered Yoga Teacher certification with the Yoga Alliance. YIN 1 teacher training is fifteen hours of nuts and bolts training with hands-on experience actually teaching a class, learning to use props, exploring the deep tissues through yin anatomy, and learning the history and roots of YIN YOGA, and more. Learn how to set-up and structure a themed 60-75 minute class. This training is practical and fun; and gives you the tools and materials to begin teaching a basic Yin Class. We cover breath-work, meditation, and mindfulness as well. A 40 page manual is included in the training. Yin 2 Teacher Training dives deeper into meridian and chakra theory. The practicum will be based on how to develop more complex yin flows and as well as how to successfully theme a class. We will explore the mental, emotional and physical qualities of the postures and, more specifically, how these qualities relate to the meridians and chakras of the subtle body. Mindfulness practices, meditation and breathing exercises will be included. Aromatherapy will also be included in this in-depth training. Each training will be held at the Owl’s Nest, a beautiful hobby farm nestled in the hills of Wisconsin’s driftless area just eight miles west of Madison and two miles south of Cross Plains, WI. Weather permitting there will be out door classes too! Sculpt is a transformational practice of body, mind and spirit. This training will provide the necessary skills to lead a dynamic Sculpt class. Lecture and hands-on practice in applied anatomy and physiology, sequence development, work with resistance tools as well as essential leaderships skills will be included in this training. IFY teacher training truly lives up to the title in that participants are well-prepared to begin teaching after program completion. There is abundant practice teaching built into the modules, and excellent instruction in understanding poses and delivering instructions. The bench is deep at IFY where many instructors are experienced in different yoga styles (Hot, Flow, Yin, etc. )as well as the other critical components of a yoga school; such as anatomy, physiology, philosophy, branches of yoga, etc. Every instructor in the program has effectively provided helpful information. Joan Bliefernicht is an excellent course director. Because of the depth and duration of her yoga studies, she is able to address student questions, whether global or about small details. The program instructors overall have been supportive, with constructive suggestions, and are oriented to the facilitation of the individual goals of each participant, whatever the level of experience and knowledge. The timing that I enrolled into Inner Fire's Teacher Training Program was perfect. I chose to enroll in an effort to deepen my practice, find perspective and pursue further application into a professional world. The Teacher Training Instructors inspired me as a student, and guided me into a place of confidence and wholeness. Inner Fire Yoga's Teacher Training was the BEST experience of my life. It taught me so much about myself. I never knew how strong I was until I started this training. It pushes you to your limits and helps you discover things about yourself you never knew before. Your mental and physical strength is tested on a daily basis. All the instructors that worked with us were extremely interesting and had so much to offer. Their expertise and amount of experience added to the great curriculum of this teacher training. I would recommend the Inner Fire Yoga Teacher Training program to anyone who wants to teach yoga or further their knowledge of yoga. As a mother of two who is rarely away from her children, I was scared and hesitant to do the Summer Intensive Teacher Training (even though I really wanted to). I wouldn’t change my decision to do it for a moment. Marit and Joan have put their heart and soul into this training program and it shows. I felt supported and understood from the moment I walked through the door. I was able to leave this program with a wonderful sense of knowledge and confidence in my skills as a yoga teacher. I also feel confident in the resources that I have been given and that I can contact the teachers who led the training with any questions that may arise in my future as a teacher. I truly feel that the Inner Fire Yoga community has my back. The summer intensive was hard at times and fun at times, but I feel the amount of knowledge I have gained in such a short amount of time was 100 percent worth it. The sense of community I felt with my fellow trainees and so many amazing teachers is irreplaceable and will always hold a special place in my heart. Inner Fire Yoga will forever be a second home to me. I am so grateful for this experience. I enjoyed every minute of the Summer Intensive Teacher Training program at Inner Fire Yoga! What a wonderful, intense, and rewarding experience – I would highly recommend the training to anyone who has a passion for yoga and wants to deepen his or her practice. I learned so much more than I anticipated, and the training inspired me to expand my knowledge of yoga even further. We had many experienced teachers who guided us in our journey and taught us a variety of specialty topics. As trainees, we had ample practice teaching time that helped us to become comfortable teaching very soon into the program. We also all became very close, and there was a strong sense of community among us as we learned alongside each other daily. Marit and Joan make a very special team, and I am so thankful for all they have taught us and the inspiration I have to continue learning and developing as a yoga teacher and student. My mind and body buzzed and transformed during teacher training as I delved into yogic philosophy, asana, and self discovery. But now as a new teacher, I am equally amazed at the breadth of teaching opportunities that are available to me. IFYTT gave me the skills, confidence, and credentials to pursue the many teaching opportunities out there and to be a sought-after teacher. Employers see the Inner Fire credential and know that I am a serious and well-trained yogi – capable of creating a motivating and inspirational experience in the classroom. I would like to take a moment to express my sincere gratitude for the Inner Fire Yoga teacher training experience. It was truly well-rounded, challenging, and dare I say, FUN. I have learned a great deal about all things yoga, but even more importantly, I learned a lot about what is to be my own teaching style. I will always consider myself a student of yoga. With such a supportive, wise, and experienced group of instructors participating in the program, I cannot help but feel well-prepared as I look to connect with the community and share my vision, my love, and mySelf through the practice of yoga. If there’s anyone who’s considering becoming an instructor, but is unsure about where to do their training, just send them my way for a loving and glowing recommendation. Thank you so much! I realized when I saw them all in trikonasana that I had truly taught them the pose well, and it was honestly a thrill! AND, I really heard my own teacher voice – authentic, strong and clear! I guess I just want to let you both know how grateful I am for the teacher training experience at Inner Fire, and what an amazing job the Inner Fire staff did preparing us to go out in the world and share with others the gift of yoga. I would highly recommend the Inner Fire Teacher Training Program for a number of reasons. First, being able to earn a 200-hour yoga teaching certification without leaving Madison and my family made the program accessible. The fact that the sessions were on the weekend, spread out over several months, also made the program manageable. Finally, I was able to gain the experience and knowledge I needed to fulfill my desire to be a yoga instructor. I found that with the stellar reputation that Inner Fire has within the yoga community, I was able to find employment before I was even finished with the program. The Inner Fire Teacher Training Program was above and beyond what I hoped to get from a training program, and my fellow teacher trainees have become friends I hope to have for a lifetime. The skills that I have learned will not only serve me as a Yoga teacher but have also bettered many other aspects of my life. It has been so exciting to learning how to share and articulate something that is such an important part of my life. The opportunity to work with and learn from many different incredible teachers really helped me find my own voice! I found it amazing how seamless the transition was from student to teacher and feel like I have been given a great foundation on which to build a lifetime of yoga learning. Madison has such a thriving Yoga community which makes it an excellent place to find teaching jobs. The sense of community, the friendships, the wise and generous sharing of knowledge and experience from all the teachers have become an invaluable part of my life and I wholeheartedly recommend this program to anyone who has the desire to teach, or simply wants to dive deeper into their yoga practice! Inner Fire Yoga's 200 hour Teacher Training prepared me to be a competitive teacher in the Madison area. Infinite thanks to Joan for sharing her expertise and passion, and to Marit for hosting one of the best teacher trainings in Madison! I believe that yoga can be life-changing and invite others to arrive on their mat to heal, learn to love oneself & others, and to break through the barriers of life that can prevent one from achieving their biggest dreams. Thank you Inner Fire for allowing me this amazing opportunity to have been part of your teaching program – the time spent with the teachers & other students was a journey I will NEVER forget! Namaste!